Join the Four Seasons Engineering 'Ohana on the Big Island of Hawaii! The Four Seasons Resort Hualalai is looking for Engineers who shares a passion for excellence and who infuse enthusiasm into everything they do. Our Engineers have the opportunity to shape our guest experience by providing exceptional knowledge of the Resort and exemplifying the Golden Rule in each interaction. Work authorization required. 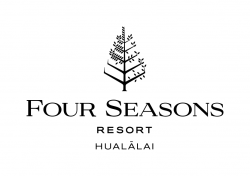 To join our team, please apply online at https://fourseasons.wd3.myworkdayjobs.com and select "Hualalai" as the location. Handle general electrical and associated duties as related to the job assignments. Respond to guest calls regarding lighting of rooms and equipment in rooms or public area in a timely manner. Respond to all emergency conditions such as fires, power failures, etc. Clean all stations in Engineering, grease traps, plumbing stoppages and maintain an organized department and hotel. Test and operate all equipment to ensure proper function. Diagnose and handle all repairs of equipment including motors, starters, breakers, chillers and associated equipment throughout the entire building. Respond to guest calls regarding maintenance of rooms and equipment in rooms or public area in a timely manner. Formal schooling, graduate of a technical school or four (4) years experience as an electrician in the field. Join the Four Seasons Culinary 'Ohana on the Big Island of Hawaii! The Four Seasons Resort Hualalai is looking for Cooks who shares a passion for excellence and who infuse enthusiasm into everything they do. Our Cooks have the opportunity to shape our guest experience by providing exceptional knowledge of the Resort and exemplifying the Golden Rule in each interaction. Work authorization required. •Prepare food items per guest orders of consistent quality following recipe cards, as well as production, portion, and presentation standards; complete mis en place and set-up station for breakfast, lunch, and/or dinner service. •Start food items that are prepared ahead of time, making sure not prepare beyond estimated needs. •Operate, maintain and properly clean kitchen equipment, including deep fryer, broiler, stove, steamer, food processor, mixer, slicer, oven, steam table, tilt kettle, waffle iron, and flat top grill. •Date all food containers and rotate as per policies, making sure that all perishables are kept at proper temperatures; check pars for shift use, determine necessary preparation, freezer pull and line set up; note any out-of-stock items or possible shortages; return all food items not used to designated storage areas, being sure to cover/date all perishables; assist in setting up plans and actions to correct any food cost problems; control food waste, loss and usage per policies. •Minimum 1 year culinary or related work experience. Basic culinary knowledge is expected for this position. Working knowledge is generally learned on-the-job.